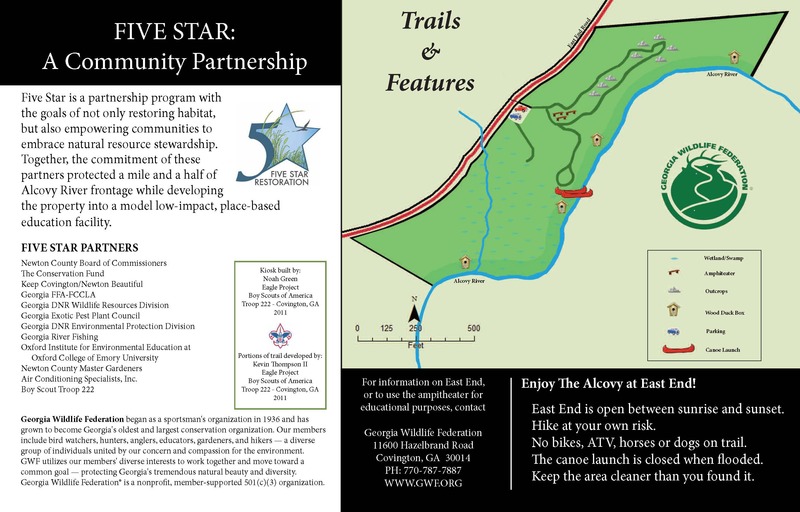 The Alcovy River at East End is 16.7 acres of lush shaded woodland, gradual rocky inclines, and forested swamp. 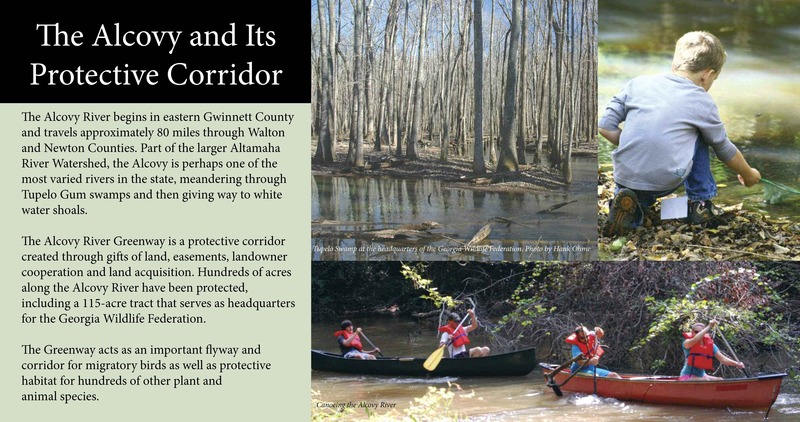 The property is part of the Alcovy River Greenway, a protective corridor surrounding the river in Newton County. The area was once a favorite dumping ground for construction debris. 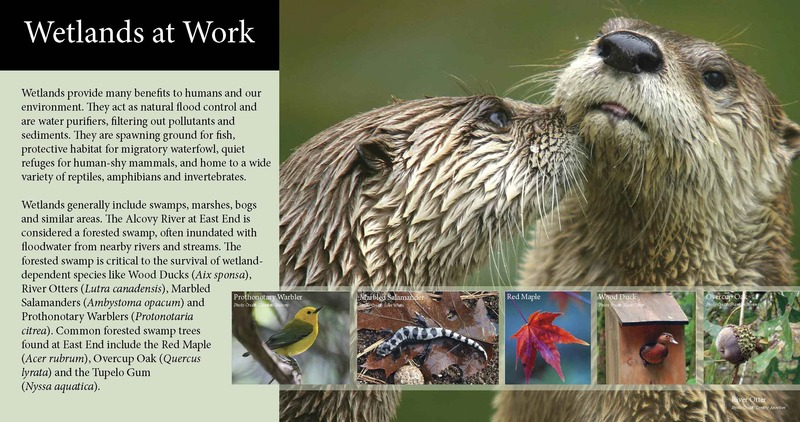 With the help of a Five Star Restoration Grant, East End is now a special gathering place for the community. 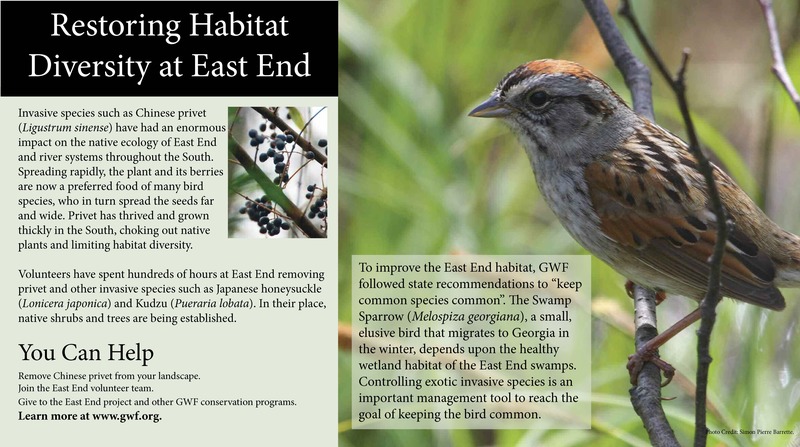 An ecologically significant and useful site, East End gives the community an access point to the river and education facilities with minimal impact on the natural habitat. 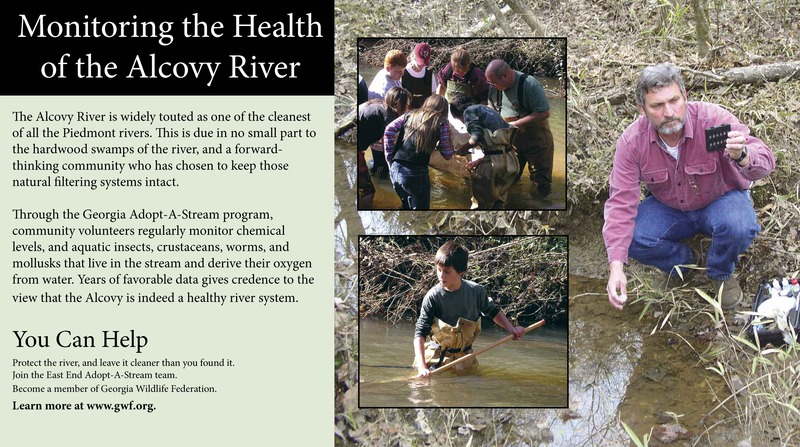 Five Star is a partnership program with the goals of not only restoring habitat, but also empowering communities to embrace natural resource stewardship. 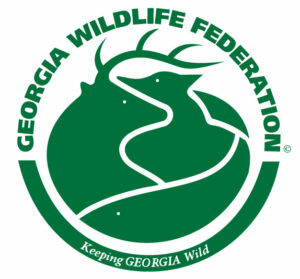 Together, the commitment of these partners protected a mile and a half of Alcovy River frontage while developing the property into a model low-impact, place-based education facility. Travel south on Hwy 36/Monticello Street towards Jackson for approximately 3 miles. Turn Left onto East End Road and travel approximately 1/2 mile. Driveway to gravel parking lot is on the right. 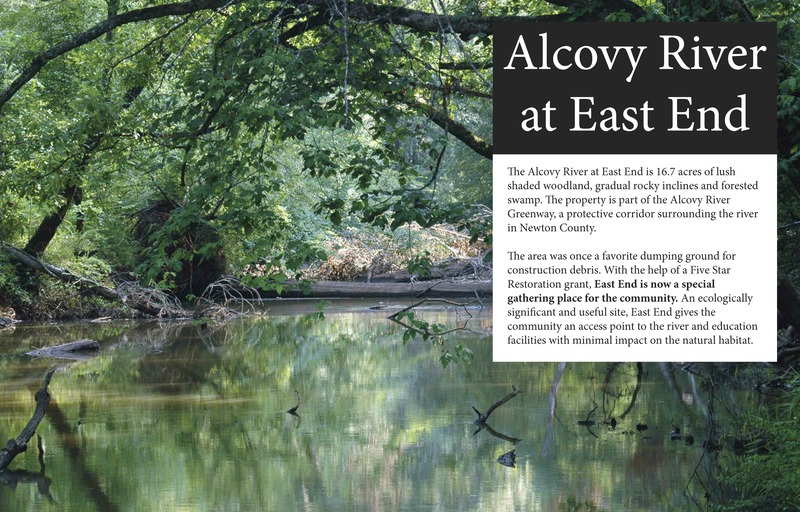 Search for The Alcovy at East End on Google Maps.